We decided to buy our own barrel! Peach Street Distillers came over from Palisade with 6 different barrel samples and let us pick what we liked! 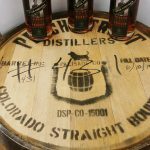 While Peach Street Distillers is known for it’s balance of sweet corn & rye spice, we were drawn to this unique 3 and a half year old barrel from the top shelf of the rickhouse with more aggressive rye character than their traditional blend. Distilled June 10,2015 and bottled on October 10th, 2018.Mash bill is 60% Western Slope Corn, 20% Colorado Rye & 20% Malted Barley. YUMMMM! 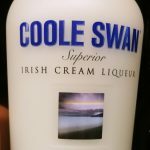 I could just leave it at that…The delicate cream hue, imparted by the finest single malt Irish whiskey and blended with real, white Belgian chocolate and fresh, natural dairy cream. Check out cooleswan.com for some tasty recipes or simple serve with (or as!) dessert! On the shelves for $26.99 for a 750 ml. New at Star! 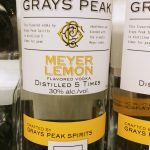 This premium corn vodka is Meyer Lemon flavored. Meyer Lemon is thought to be a cross between a true lemon and a mandarin and is a native fruit of China. It has a sweeter, less acidic flavor than common lemons. Distilled 5 times using water that undergoes a proprietary reverse osmosis process that removes any trace minerals typically found in spring waters that can produce ‘hot’ flavors. Artisan inspired* 5 times distilled* premium corn* charcoal filtered* vegan friendly! Give it a test spin for only $11.99 for 750 ml. This is an American-Style gin. 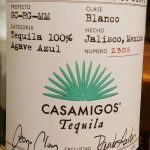 This blend is unique in the fact that they use 34% grapes, 33% apples and 33% pure cane sugar. Highlighted by tropical ingredients such as tangerine, grapefruit, ginger, basil and rose petals, this tones down the juniper flavor- which is traditionally the most prominent ingredient in gin. Take advantage of us buying a HUGE DEAL: Regularly priced at $25.99– on sale for $13.99. 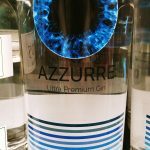 The GIN for Non-Gin drinkers!